In two weeks, I'll be in San Diego for the RWA Annual Conference (link). I will soak up the sights of "America's Finest City" until Wednesday, when I am cohosting the bus tour of the Navy Base Coronado (link). training with USS Hawaii in 2007. 1. 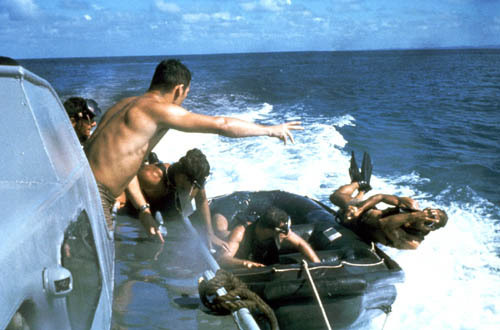 Do you have a favorite book or movie featuring Navy SEALs? This is a tough answer for me ... so I share the first book I read with a (former) Navy SEAL as the hero - Pamela Clare's BREAKING POINT. Check out my review at this link. I always enjoy the movie NAVY SEALS with Michael Biehn. I have read several, but titles escape me. Did Suzanne Brockmann do a series years ago? I loved that one. Not any romance books as yet but my husband has a few biographies that I've read parts of. I really enjoy Susan Brockmann's book series with SEALS. I adore all SEAL movies and books - I love reading about them! I enjoy reading Tawny Weber's SEAL books. I loved Anne Elizabeth's West Coast SEALs. She included the emotional connection between SEAL team members and their families. I think she is connected to the SEALs, too! Terry Spear has a wonderful series with wolf shifters and SEALs that is great! There have been so many that I've read that are wonderful! There's nothing like a military hero! I've read and loved Pamela Clare's Seals and quite a few other Authrs books. Thanks for the information regarding the Seals. 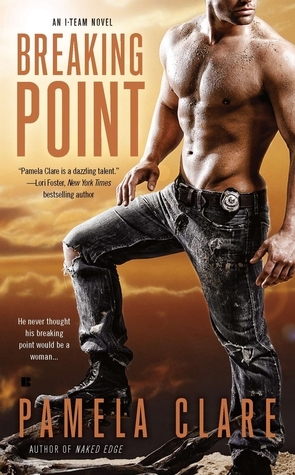 "Breaking Point" is one of my favorite books, too. The first SEAL romance I read was Suzanne Brockmann's "Frisco Kid" and it remains a favorite. You had me at SEALs :) Any of Suzanne Brockmann's Troubleshooter series are rereads for me. As to movies, I recently watched Act of Valor and it broke my heart. Have fun at the conference- wish I could be there! I don't have a favorite but I enjoy movies no books with Seals in them. I enjoy Pamela Clare's books, but the first books I read including Navy SEALs were Suzanne Brockman's. I don't know which one I read first, but once I discovered them, I read everyone I could find. I enjoy Terry Spear's SEAL Wolf series.